Offering exceptional performance and value for money, The VDH HDMI Flat delivers clear sharp images, accurate colour definition, vivid contrast and an infinity of fine detail up to the highest video resolutions. Sound at any digital format is matchless. Fully compliant with the HDMI High Speed (v1.4) specifications. 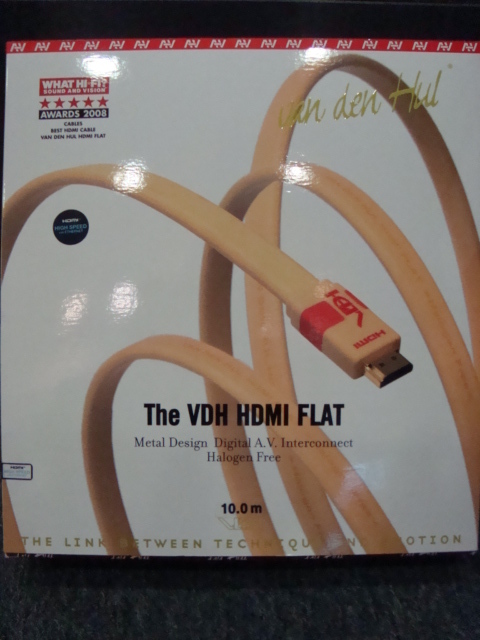 With The VDH HDMI Flat our included unique design and material features provide unparalleled added value in terms of signal transport quality and fidelity, cable lifespan and environmental friendliness. 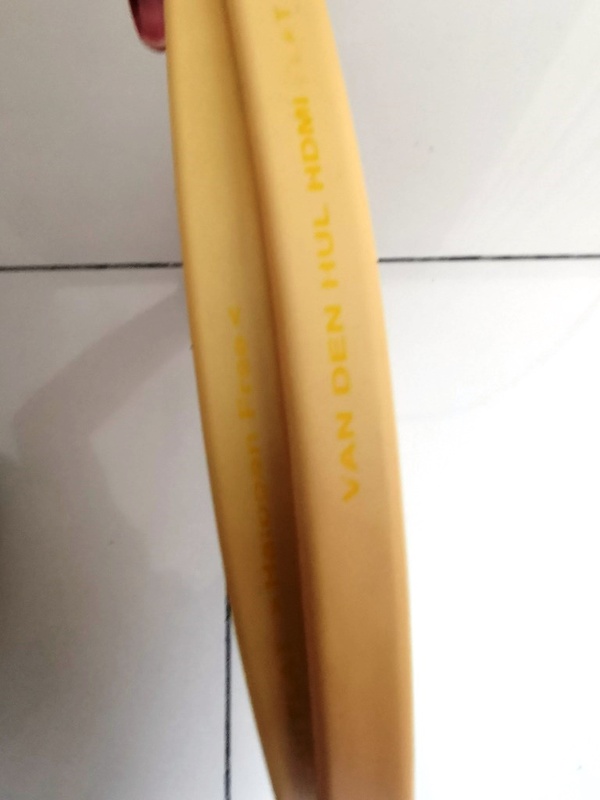 Applied throughout our product range, this more serious cable design and production approach makes van den Hul stand out from the rest. Worth almost RM3000 when bought. Just with minor wear and tear marks on the outer layer but internal layer protection still very good and still cable can bring so much difference to your picture and audio quality. Highly noticeable with immediate testing. 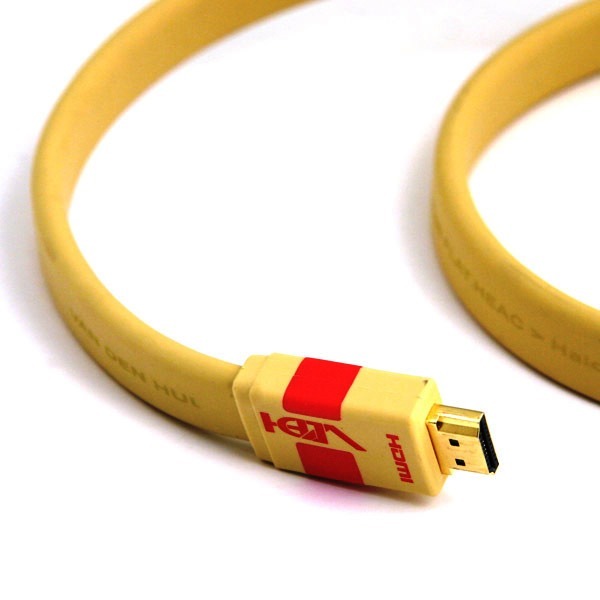 - Fully compliant with the HDMI High Speed & Ethernet(v1.4) specification for lengths up to 10.0 meter. - Supports display modes/resolutions up to and including 1080p; warranted for lengths up to 10.0 meter. 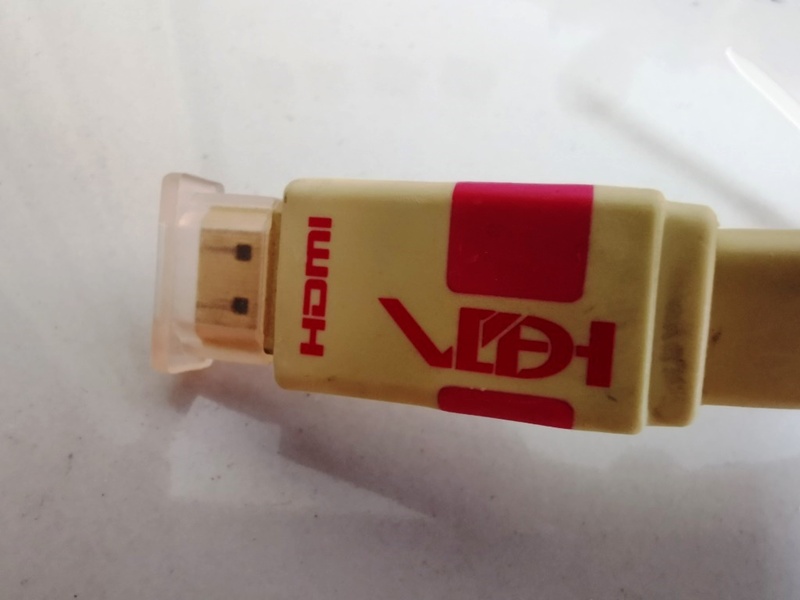 - High-quality HDMI ‘Type A’ connectors with heavy gold plated contacts provide solid and reliable connections. 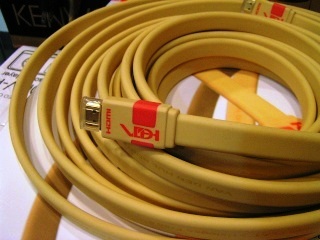 - High-density-coated Oxygen Free Copper conductors warrant minimum signal attenuation. 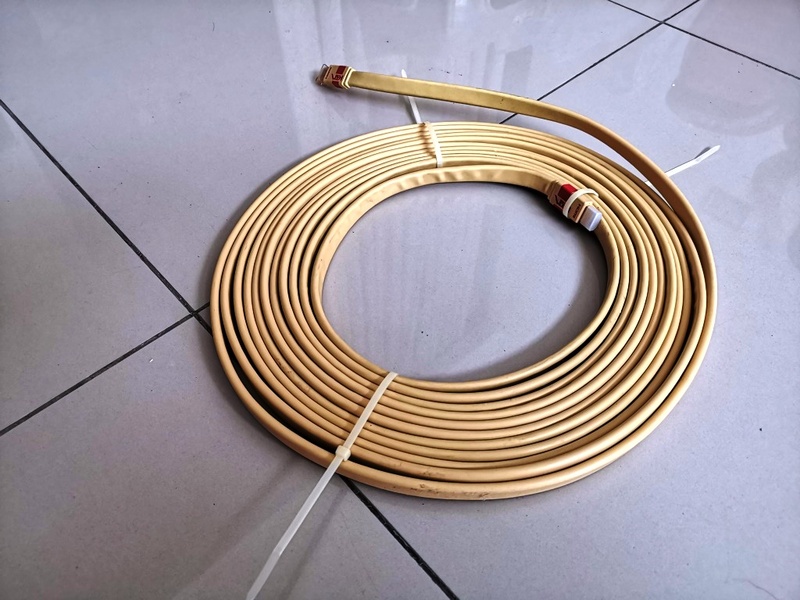 - In addition to the cable's Hulliflex jacket, the internal conductors' special coating adds extra protection against aggressive environmental conditions. Please sms or whatsapp Anand 012-5885270 for more details or photos. Item is in Penang, can also deliver to other places.